3pm – After dropping off your car with the valet service at the Best Western Plus Hôtel Masséna Nice, head to reception where our team will greet you with a smile, ice tea and snack. Check out the Sofia Junior Suite now with endless views of the Nice hills and a private terrace with loungers. It has an open-plan lounge area, desk, sofa, large-screen TV, Bose smartphone dock, mini-bar, Nespresso machine and welcome tray (kettle, coffee, tea and herbal tea). Unwind in the walk-in shower and bathtub for the weekend. 3.30pm - Take a walk on Place Masséna, a two minute walk from your city centre hotel. This main square is a go-to in Nice and hooks up with the Promenade du Paillon to the east, Fontaine du Soleil to the south, Albert 1st Park to the west and Avenue Jean-Médecin to the north. Admire its checkerboard floor and 7 lit-up statues standing ten metres above our heads. 4pm - Head to the second best-known landmark in Nice, Castle Hill. If you're feeling brave then go up the stairs, otherwise take the lift or tourist train up to it. It certainly has some of the best views in Nice so bring your camera to take amazing shots of the panorama with Nice Port to one side and the Promenade des Anglais and Vieux-Nice rooftops to the other. 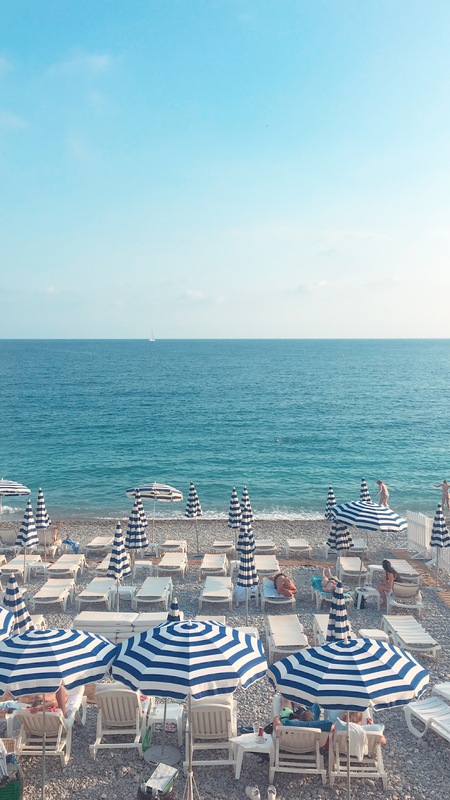 5pm – Go down the hill and relax on one of the blue chairs on the Promenade des Anglais to soak up a spectacular scene: the sun setting over the Mediterranean. Check the exact time so you're sure you don't miss the sunset. 6pm – On arrival at the hotel, visit reception to book a table for dinner in a restaurant serving Nice specialities. Then settle into the hotel bar to unwind with a drink after an exciting day out. 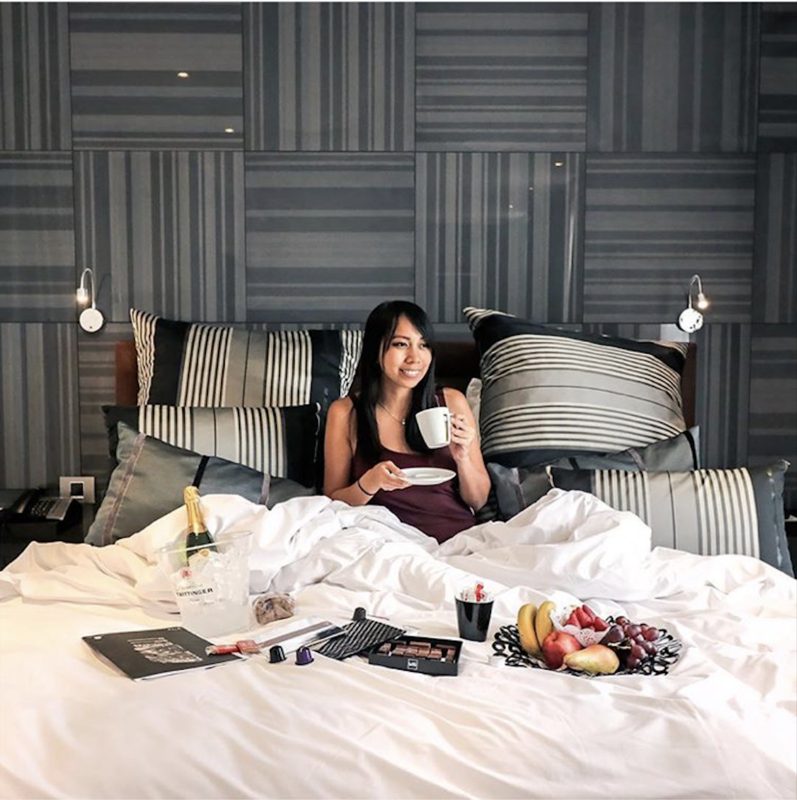 9.30am – Wake up slowly in your super king-size bed and premium mattress. 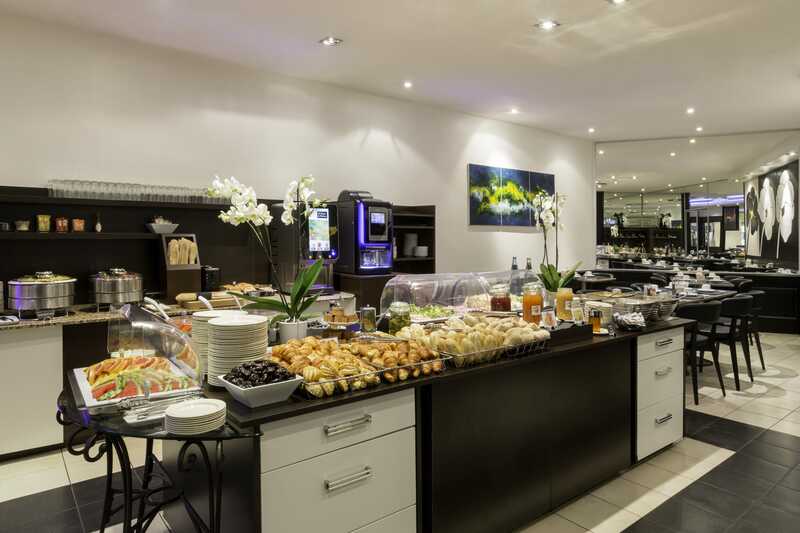 Have a nice hot shower then tuck into the breakfast buffet on the ground floor with a range of sweet and savoury items. If you like to read then you'll find a variety of French and English newspapers on the 1st floor staircase. 10.30am – Start your day with a trip to Place Garibaldi, just a 15 minute walk from the Best Western Plus Hôtel Masséna Nice. It's the oldest square in Nice and one of the city's best-known landmarks on the edge of Vieux-Nice. You can venture beneath the square through the archaeological crypt where you'll find relics of Nice's medieval fortifications. Make the most of your morning with a walk in Vieux-Nice. The old town is packed with classic Nice shops and restaurants. Soak up local life as you wander through the flower market stalls on Cours Saleya. 12pm – With Italy nearby, the city of Nice is a delicious gourmet blend of French and Italian cuisine. For lunch, check out our selection of the best pizzas in Nice. 2pm – It's the perfect time to bask in the sunshine on a deckchair on the private Ruhl beach. As a guest at the Best Western Plus Hôtel Masséna Nice you get a discounted rate when you ask at reception or when you book. 5pm – Wrap up the afternoon with a trip to one of the many museums in Nice: the Matisse Museum, Chagall Museum or Museum of Modern and Contemporary Art. Nice ranks just behind Paris in terms of visitor numbers at French museums. 6pm – Before returning to the Best Western Plus Hôtel Masséna Nice for a well-deserved rest, treat yourself to a tipple at one of the many bars in Nice. Some of them serve tapas, ideal for nibbling on with your glass of wine or cocktail. 9am – It's your last morning in your luxury Sofia Junior Suite so make the most of it to order a continental breakfast and have it brought up to your terrace in the Nice sunshine. 10am – Make the most of the Best Western Plus Hôtel Masséna Nice's perfect setting for a morning shopping. Just steps away from the hotel you'll find all Nice's department stores as well as Galeries Lafayette, the perfect time to unearth your last souvenirs. Book your weekend at the Best Western Plus Hôtel Masséna Nice and make the most of its central Nice setting to spend three days visiting the region.